Loving dogs means helping dogs. But for many, the time comes when our dogs may need help beyond our individual capacity to provide. Know that when this time comes for you and your Basenji, you can turn here, to Camp Basenji for help with Basenji issues of all kinds. 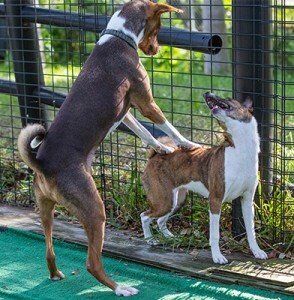 Whether it is Fanconi or some other health issue…change in your dog’s behavior…loss of appetite or incontinence…or the struggle we all have with rehoming or end-of-life issues, Camp Basenji is here. For both you and your best friend. Explore the advice we offer here, and contact us if you still have questions!